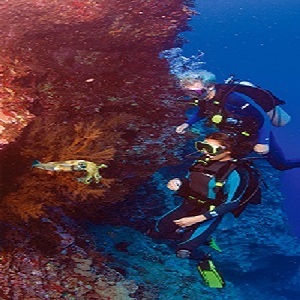 MAUI DIVE SHOP WILL NO LONGER OFFER THE 2 TANK LANAI DIVE AS OF MAY 12, 2019. Our apologies for any inconvenience. Tubes, caverns, ledges and walls of lava make excellent backdrops for underwater photography and magnificent mazes for exploration. Turtles are found on many dive sites around Lanai and Plankton rich waters frequently attract Manta Rays. As a bonus, it is not uncommon to be escorted to and from the dive sites by Spinner Dolphins riding the bow wave. 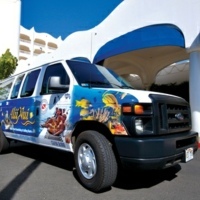 PLEASE NOTE: MAUI DIVE SHOP WILL NO LONGER OFFER THE 2 TANK LANAI DIVE AS OF MAY 12, 2019. Try our 2 Tank Molokini Interior & Backwall dive instead.